What Do You need to know in order to successfully add DKIM to DNS? In order to add openDKIM to DNS on Linux, You need to understand of some basic terms and tips. 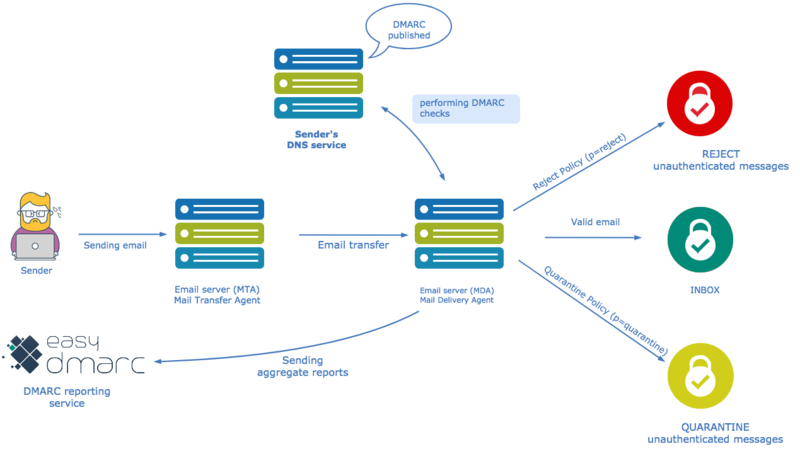 • DMARC and the Email authentication process. If You still hesitating to add openDKIM to DNS or not, we collect interesting information and facts to make sure that email protection is Your business trust, and for trust, it isn`t a good idea to save money. Now You are convinced that it is important to add DKIM to DNS for Your email protection. So, let`s go through it. Why do we evaluate? the importance of email protection? Easydmarc’s email protection services make your business safe and secure from cyber attacks and especially, from phishing and spoofing. Email protection isn`t only the companies primary need, but also it is Your companies trust, authority, and future. We understand Your worries about cyber-risks, we make You business trust our top priority. Because nowadays customer trust is the best future. Email protection is what that leads You to the bright future without any spam, phishing, and fraud. We suggest awesome tools and advanced solutions to individuals and organizations of all spheres and sizes. Far beyond any shadow of a doubt, a data-driven solution ensures Your business email top security, nonetheless enabling DMARC a lot easier to understand, adopt and maintain. Thus whilst providing advanced email protection services we also ensure Your business trust and reliability with our data-driven technologies. At Easydmarc, we provide a well-designed and user-friendly platform for getting full visibility of enlightened of your domain so as to do monitoring and get reports or alerts. Do You know that threats cost for businesses is more than $5.3 billion and cannot be detected by solutions that detect only malware? EasyDMARC also provides step-by-step instructions to help You set up, install and add OpenDKIM on DNS for multi-domains with Postfix on Linux. Need help to add DKIM to DNS? Email authentication isn’t new in the IT industry, moreover, it comes to the surface of the world a decade ago. From the 1980s with the Simple mail protocol aka SMTP creation, email authentication issues become more and more popular day by day and continuing its growth. Unfortunately, SMTP protocol doesn`t solve the problem of fraudulent and underhanded emails at all. At this point in time, it suffices to say that The infallible statement ‘email infrastructure lies behind the scenes’ is further established with the premise that DNS records, email authentication, open and click tracking, domain alignment, and the contents embedded in email headers all play an indispensable role as they all together ensure the smooth run and easy access that a user gains into an inbox and its contents. · DomainKeys Identified Mail (DKIM). · DMARC- Domain-based Message Authentication, Reporting & Conformance. You can download our magic script from here. Setup and configure OpenDKIM for multiple domains with Postfix on Linux with the script. Download and rename txt file to an executable bash script. You will need to run the script from root user, the script will generate keys for a domain and install OpenDkim, Postfix on the host. Enter a domain name, specify the selector after script will generate appropriate configurations. After the successful installation, you will need to add very important DNS records for your domain. We shall now examine each of the email authentication concepts one after the other. 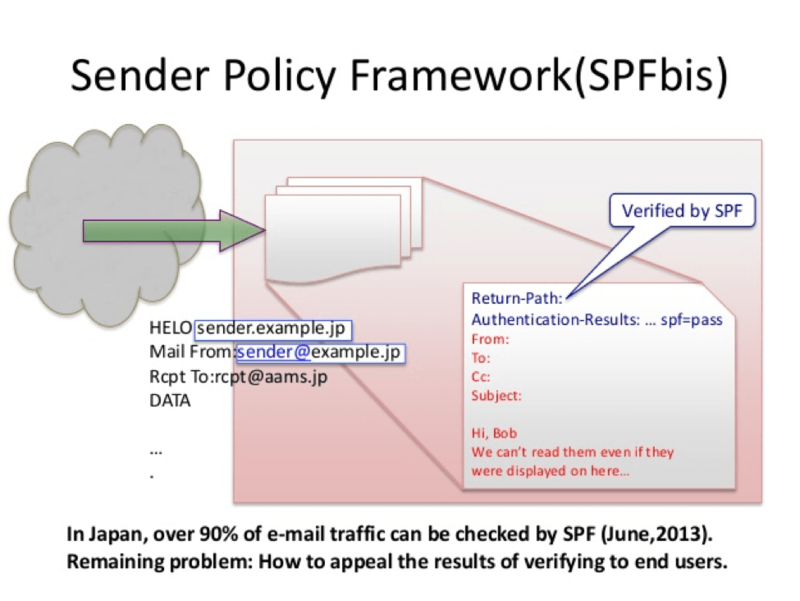 This is a simple email-validation system that detects email spoofing by providing a mechanism that allows receiving mail exchangers to check that incoming mail from a domain comes from a host authorized by that domain’s administrators. This can be achieved via configuring your SPF record by our SPF wizard. Under the SPF, messages that do not come directly from the return-paths designated outbound servers we consider as forged. This semantic is compatible with existing practices, with two exceptions; web-generated email and verbatim forwarding. Those two cases should implement SRS for best results. DKIM – DomainKeys Identified Mail (DKIM) is a protocol that permits a person, role, or organization that possesses ownership of signing domain to claim some responsibility for a message via associating the domain with the message. This is an important authentication mechanism to help protect both email receivers and email senders from forged and phishing emails. Forged email is a serious threat to all parties in an email exchange. Our wizard for DKIM configuration and checks is here. A Domain-based Message Authentication Reporting and Conformance or DMARC is an email validation and reporting protocol which helps You protect Your email infrastructure from spoofing or phishing attacks. 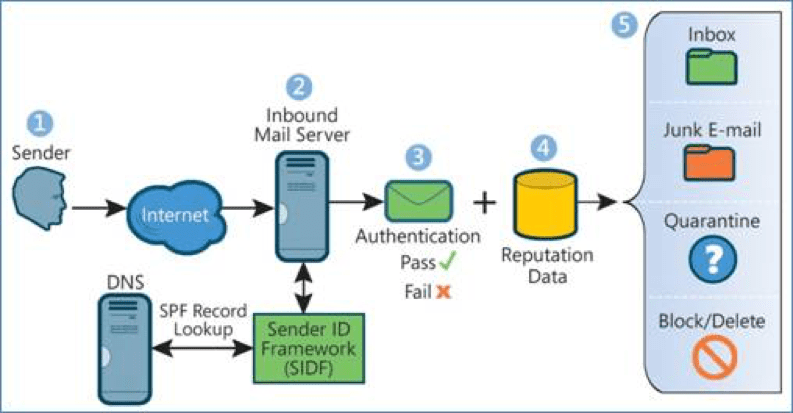 DMARC meets Your organization’s inbound email authentication needs. DMARC is based on two SPF and DKIM basic protocols which let a receiver and a sender to cooperate with each other in order to authenticate emails by sender SPF and a receivers DKIM. With DMARC TRUST tools You will protect Your receivers email infrastructure from spoofed messages, in contrast with this, you will protect Your domain from illegitimate usage and spam content to be sent on Your behalf. DMARC policies are published in the DNS as text (TXT) resource records (RR). As stated earlier, they announce what an email receiver should do with non-aligned mail it receives. DMARC is based on real-world experience by some of the world’s largest email senders and receivers deploying SPF and DKIM. The specification takes into account the fact that it is nearly impossible for an organization to flip a switch to production. There are a number of built-in methods for “throttling” the DMARC processing so that all parties can ease into full deployment over time.